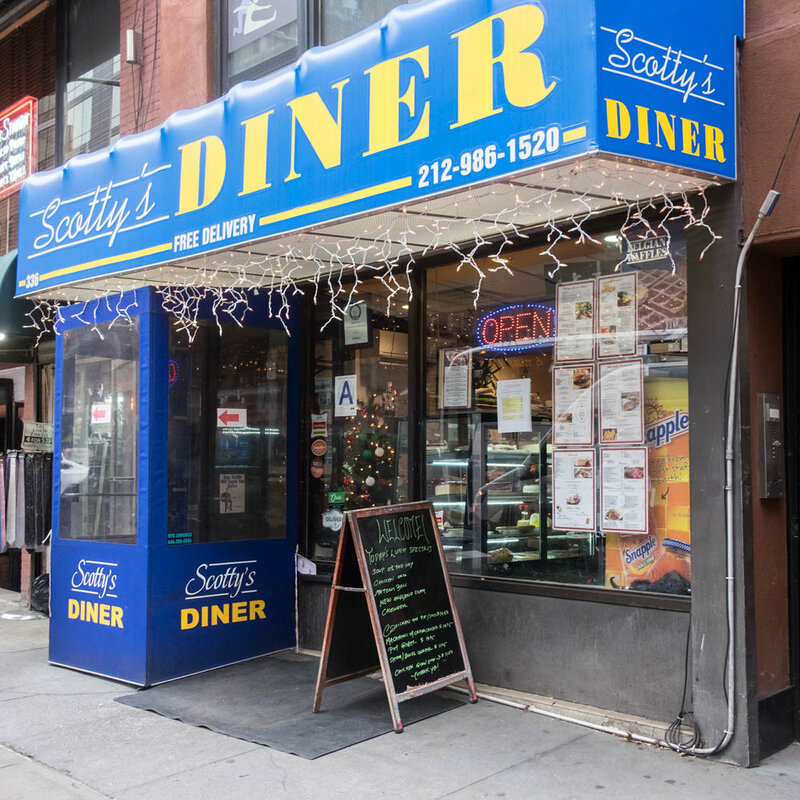 Scotty's Diner is a classic diner. A counter in the front when you enter and tables in the back. They are open almost 24 hours a day everyday. Breakfast, lunch, dinner they've got all the typical American food and Greek specialties. And in typical diner style, they don't have a website. They are connected to many of the delivery services and you can order online. I had a basic cheeseburger deluxe and other than the fact that it's too much food for me, it was as expected. They are located near Grand Central Terminal. A neighborhood with mostly high-end restaurants or chain restaurants. If you're in the neighborhood and hungry this is the place to go.